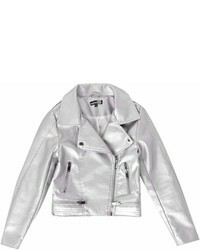 Consider dressing your little princess in a Boohoo girls faux leather metallic silver biker jacket from BooHoo with black sweatpants for a fun day out at the playground. 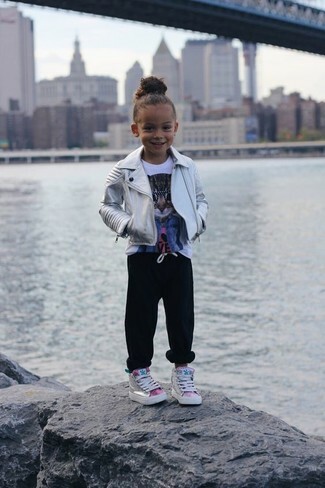 Silver sneakers are a wonderful choice to complement this style. 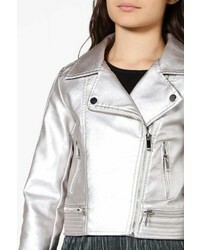 Suggest that your little one opt for a silver leather jacket and a grey star print skirt to create a smart casual look. Pink leather boots are a savvy choice to complete this getup. 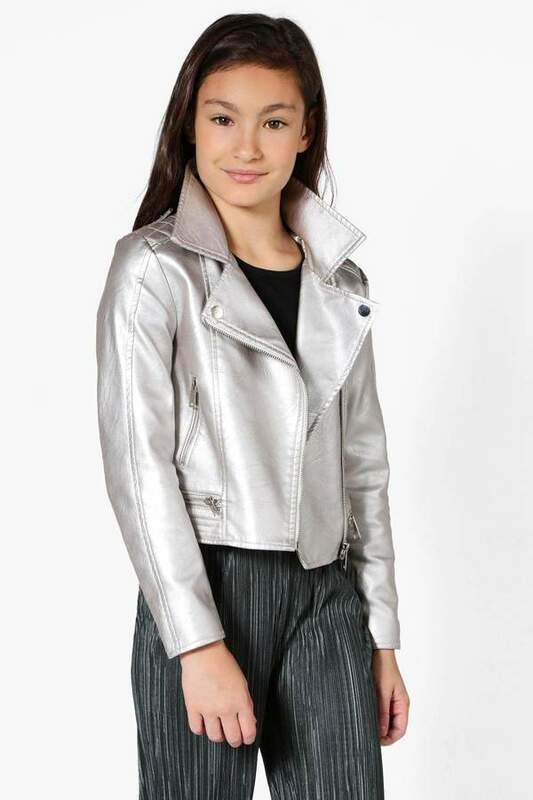 Suggest that your darling reach for a Boohoo girls faux leather metallic silver biker jacket and black trousers for an easy to wear, everyday look. 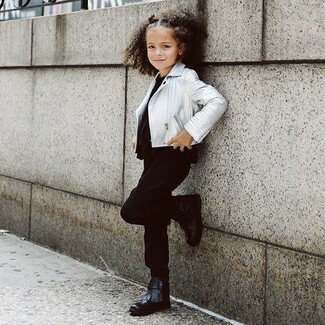 As far as footwear is concerned, let your girl grab a pair of black boots.